Red Wiggler Worm Castings are farmed outside in windrows of composted dairy manure. 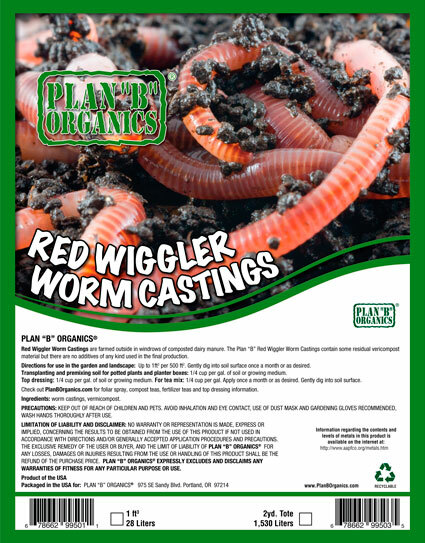 The Plan “B” Red Wiggler Worm Castings contain some residual vericompost material but there are no additives of any kind used in the final production. Red Wiggler Worm Castings ingredients: worm castings, vermicompost. 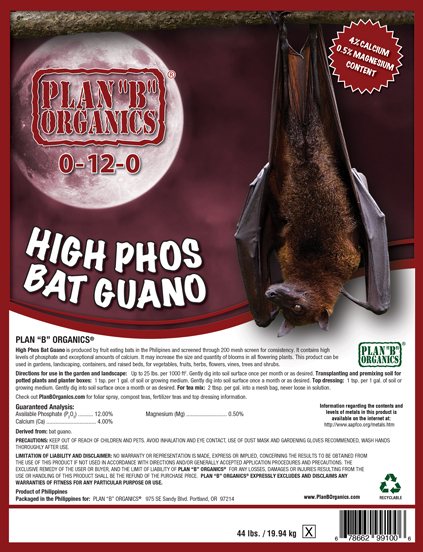 Directions for use in the garden and landscape: Up to 1ft3 per 500 ft2. 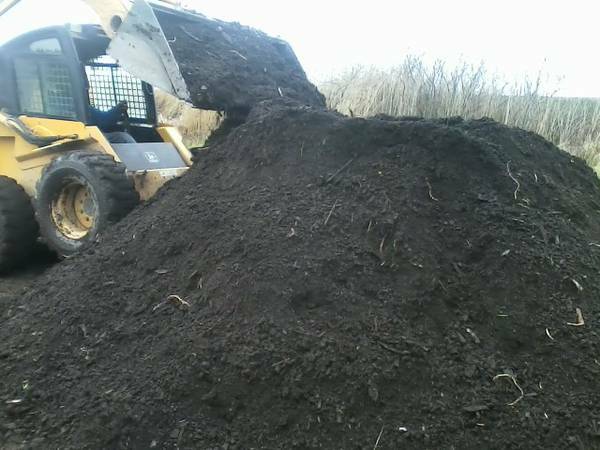 Gently dig into soil surface once a month or as desired. 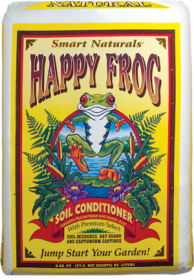 Transplanting and premixing soil for potted plants and planter boxes: 1/4 cup per gal. of soil or growing medium. Top dressing: 1/4 cup per gal. of soil or growing medium. For tea mix: 1/4 cup per gal. Apply once a month or as desired. Gently dig into soil surface.